These past 2 weeks i´ve shared a couple of things that I´ve learned on my mission. This last one I believe is the most important. 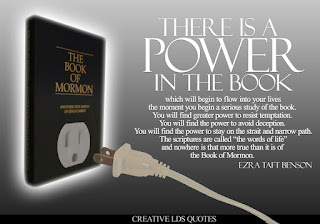 The most important thing that i´ve really come to understand on my mission. interesting to see that there is always one thing in common. Very different people but always one thing in common. I think the best way to say it is written in Preach my Gospel. "As your understanding of the Atonement of Jesus Christ grows, your desire to share the Gospel will Increase"
Every single one of these powerful servants understood the Atonement maybe more than anyone else. Which made them so powerful. I think of Peter for example. He was a personal Witness of the Atonement. He saw it personally. He maybe more than anyone else could comprehend it because he was a personal witness. The scriptures tell us that he fell asleep while Christ was there. I beleive that even more probable that it was from being tired that it more like how a baby falls asleep. From crying so hard he literally cried himself to sleep. From seeing the Savior have to go through that for every human being to step foot on to this earth. And from his personal witness he knew that everyone needs this Infinite sacrifice. Going through all that pain of the sins and afflictions, of the world and he couldn´t die. The son of God even asked is there another way? what type of horrible thing would even cause The Literal Son of God to ask, "is there another way?" And God having to say "no". I love the way that Talmage teaches it that what was it that killed him? A broken heart. It wasn´t the pain that he suffered, the afflictions and everything else, it was that the people that he tried to save literally broke his heart. What other way could a God die? I hope one day to be able to go to Gethsemane and see the place that it took place. I know that deep with in that Garden there is a tree eternally stained with the blood of the only perfect being that has been on this planet. And that blood was shed for me. Maybe I more than anyone else needs this Atonement. The Atonement has allowed me to do things I didn´t know were possible. Has allowed me to overcome things, and reach heights that I didn´t know existed. The Atonement is real. Jesus is The Christ. The living son of God. I am so grateful to have been able to represent him these 2 years. I can honestly say that I have given all I could. I was not perfect in any sense of the word. But The one thing that I can say is that I gave it all I could. I fought with everything I had. If theres one I can say it is that. Everything is left here. Including the old me. I made the promise to never be the same after. Heres one chapter down. Here goes the next one. Just like I said going out before the mission. "I have no idea what these next years are going to be like. " 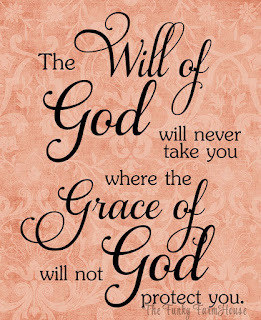 But I know that as we are obedient and do "all that we are able" we will see divine intervention. See you guys next Monday. It wouldn´t be right to not finish the mission in White. Well This week was good!! We had Elder Montoya come in and do a training for the mission (he´s from the area presidency) So I spent a lot of time organizing all the stuff for his arrival making sure that all the logistical things were done and ready for him and everything and then not to mention getting out and working. Fortunatley we have someone this week to be baptized!!! So I¨m praying with all my heart that everything goes well so he will be baptized. Here goes nothing!! Today President Invited us to his house to thank us for everything we did for the Elder Montoya training, so we went early to his house and had a barbecue there. I have come to really love Peruvian food but a good old thick beef burger with Brautwurst sure was good. Not to mention I threw a baseball and played wiffleball for the first time in two years with President!!! It was a blast. So it was a good week!! One of the things that I have come to understand and appreciate is the calling of a missionary. 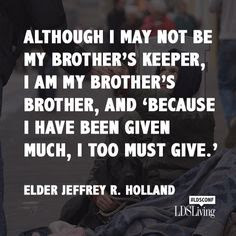 I think that it is really sad that many people and even members take for granted the calling to a missionary. They don´t understand exactly what it means to be a missionary of Jesus Christ. I know that when I was set apart as a missionary I was not set apart to be another gringo with a name tag in Peru. A missionary is a set apart, disciple, and representative of Jesus Christ. The Authority of worthy missionary is evident. When Chirst. said "go and preach to all creature baptizing them in the name of the father and of the son of the holy ghost." That was not a good suggestion for whomever. It was a commandment with a promise and a commitment for all those who take on this sacred commission. A missionary literally represents Christ. He does what he would do, acts as he would act, says what he would say, literally representing Christ in all. It always has been very interesting to me the fact that for example in places where the missionary is the branch president, the missionary does not have to be set apart by his mission president to be the branch president. But with the calling that he has permits him to act as that judge in that branch. When missionaries do Baptismal Interviews they literally act as judges to determine if the person can act upon the Atonement of Christ by receiving those ordinances. And the missionary is the one to open the door to all that. The missionaries are the ONLY ones that can exercise the first keys of saving ordinances in their area. Not even a Stake president is allowed to do that but only the missionaries that have been assigned under the keys that the mission president posseses can exercise those blessings. A missionary is a true representative of Christ. And i´m so grateful for the experiences that I have to had and the time that I have been given to be able to come and understand and exercise that. I will never take that for granted. The best part is that the commitment was not only for the mission but extends for all of our lives. Well I have about 3 more times left to write and so I would like to share a couple things that I have learned on my mission as my last letters. One of the most important principles I have learned on my mission is about the Restoration and the importance of it. I Think that there in Utah I took that for granted a lot of times. The Restoration is one of the most important events that has happened on this planet. I remember a number of times I was asked to talk and share about the importance of the Restoration in my life personally and as I have sat down to really ponder about the importance of this event I have come to the following. Every event in our lives is affected by that moment. Can you imagine being young Jospeh in that moment. Being in that situation and what 14 year old kids thinks about Future salvation in a world that he does not know, and faith through a "Savior" that he has never met. Everytime I think about this it just makes me think about in the Pre earth Life what he was like?? and When I finally get to meet him in some future What will he be like then?? I think about the diligence, faith, obedience, and all the other attributes that he had. Where were those developed? what type of parents he must have had! I think about the persecutions that later he faced. I think about how much faith, love, and charity he must have had. How much he loved Christ. He is a Prophet. He holds those restored keys. I know it. And I make sure everyone I teach knows, that I do know it. That I love it, and I live it. Now I think how has the Restoration changed my life. Every moment of my life has been changed by it. where would I be with out the church? Where would I have been born? what habits, beleifs or morals would I have? If you think about it experiences even in sports growing up has been affected by that very moment that the Prophet Joseph decided to pray. If it wasn´t for the Restoration The priesthood would not be here. With out the Priesthood There are no Eternal families. There are no Fathers blessings. There are no Saving ordinances. Which would mean that we are all lost creations of some God that doesn´t want us to return to him. But were not. We are literal sons and daughters of a God. Who make and keep covenants with him. have personal relations with him and receive very personal guidance and manifestations from him. Only made possible through a complete Restoration. 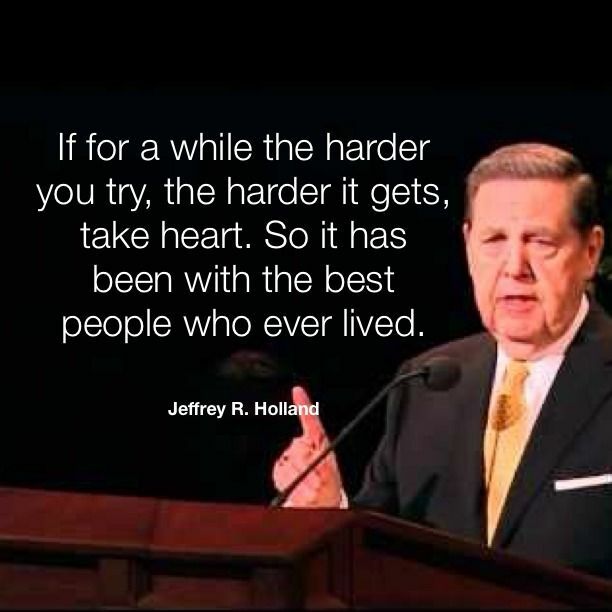 We have now Prophets and Apostles that guide us. This is one thing that before I took for granted and never again will take for granted. There are living prophets and apostles. who have been called directly from Christ to represent him. And one thing I have learned is that as we follow what they say, we are following Christ and we will ALWAYS have success. It may seem weird or doesn´t make sense but as we follow the bretheren it ALL works out. 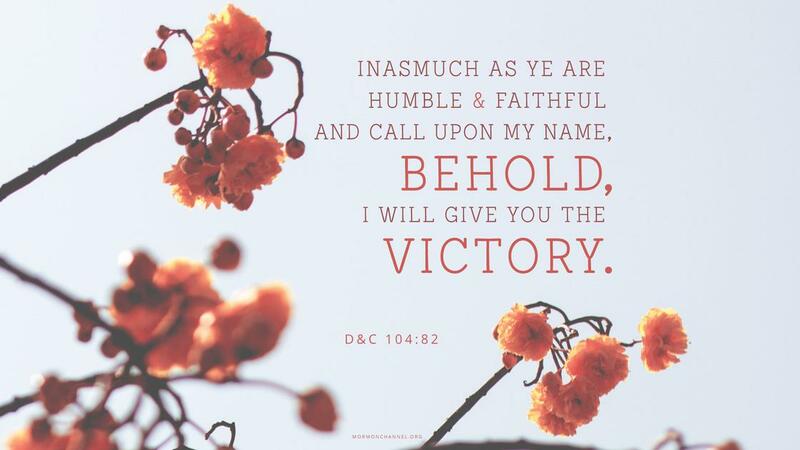 I recently was able to renew my temple recomend, and after my mission I will never take for granted the opportunity to sustain a living prophet. I sustain, love, follow, and will always testify of him and the keys he holds. I know they are special witnesses of Jesus Christ. The Covenants that were Restored also are real and have power within them. I will talk more about that later. The Priesthood literally is the power of God. Of that I have a personal witness. I am so grateful that the Lord provided me with the opportunity to witness and be part of exercising that great power. There are miracles all around us. 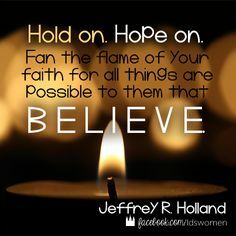 The stories that we read in the Bible and Book of Mormon of the miracles and great events have not stopped but continue today. I am a special witness of that. The Restoration happened. It is real. The Church is the Church of Jesus Christ. The only true, living, divinely guided church upon the face of the earth. I am so grateful for the time that I have to share this message and be a representative of that exact church. The Church of Jesus Christ. Sounds like everything is going great there!! It makes me really glad to see and hear that everyone is doing well and that your all having fun. That makes me really happy!! This week was good as always!!! Had a couple of funny stories actually. I got a text from President on saturday asking me if I could drop by the office and open it up for him because he had to change to go to a stake conference. President and his family saturday went to the zoo and so they put all their church clothes in their car to change on the way to stake conference that night. They stopped by the office to change and Hermana Stauffer comes out and goes " Hey Elder Harrop can you go see if Presidents Shoes are in the car?" so I go out to the car and can´t find them. I walk back in and President walks out of his office without shoes and withot a tie and says to me "Well I beleive my tie is also with my shoes somewhere. Elder What size of shoe are you?" So I took my shoes and Tie off and thats how he went to Stake Conference!! With my tie and my shoes!! It was really funny to walk back to my room without shoes and a tie after, the neighbors thought someone had robbed me. But I had to explain to them no. But it made for a good story! We should be looking good for this month!! We have to finish well and so here goes nothing to the big finish!!!! I love you all and hope the best for you. This week we had baptisms!!! It was a good week because you can never complain when you have baptisms!! This is Mery y Angel, and Anshonny y Isabell. They have all been very great blessings and I feel so privileged to have taught them. The weeks are flying by, its so crazy to me. but everything is going well down here!! The transfers were last week and I got the call that i´m staying here in the offices. I will be finishing my mission here in the offices. Which i´m happy about.!! there will be a lot of good things that will come. Its funny because I will be the first Financial Secretary to finish his mission in the office. crazy right? But here it goes to a strong finish and let´s hope that there are a couple more that are coming through here soon!! Well this week we saw the miracles come through!!! This week we should have a couple baptisms!! We had one couple get married today and they have the baptism on saturday!! We have two more that should be baptized this week and so it should be a good week!!! i hope all is well back there, and that your all ready for school to start up!! This week we saw a lot of miracles. On monday I had the opportunity to do a baptismal interview, and it went really well. I learned a great lesson from this. Everything started off normal but We got maybe 5 minutes into it, and he started to express a couple of problems that he had gone through. Now it was really interesting because I was just able to sit there and listen. I listened very attently, and we had a great interview. It led to a topic on the Atonement of Christ, and it is was a very spiritual experience, but at the end of the interview, this man looked at me and just said "thank you" I didn´t know for what becuase really most of the time I just sat listening to him. He said "thank you for just listening. I know i´ve talked about a lot of things but thank you for just listening" He was baptized on saturday and after the baptism I went up to congratulate him and again he just looked at me and said "thank you for just being there and listeing to me." It really hit me that sometimes people just want to be heard!! and if we listen in the right way that we allow them to feel the Love of the Lord through us. Without even saying too much!! Another couple of miracles we saw this week! We have a couple that are going to get married this next monday and they were good, not great but we had a great lesson to change that. We taught them and they expressed a couple of trials they had, and From that moment we were able to turn it into a very spiritual experience. We taught about Christ. The Atonement. And at the end it was so powerful to hear the testimony of this man who sat their crying testifying of Christ and the difference that he has made and how he had forgotten but never again will. A huge change in their attitude. He even said "one thing that the other missionaries before I feel didn´t put as much emphasis on was in Christ. And that was exactly what we needed. Christ"
Then after that we were sitting at church when a member came up to us and said "hey elders I want to present you to someone. " This man had been attending Church in Cajamarca and made the decision to look for the church here in Lima so that he could keep going. It was a complete Miracle! Out of nowhere this man showed up on his own! This last week we were supposed to have 2 baptisms . But their landowner kicked them out of the house and had to move to Huaraz by emergency. They called to tell us that on wednesday. In that last lesson we had with them, we just happened to have a member with us who works in the temple. He wrote down their names and said I´m going to put your names in the temple. Well the whole weekend went by and even the member asked us about them to see if anything happened. We told him that they moved to Huaraz like they said and they were going to attend there. Today in the morning I got a call from them. She said "Elder we seem to have got it all fixed. We are staying here in Los Olivos. When can you visit us?" It was a complete Miracle. We have a cita today. I hope all goes well and that they can be baptized this next week as well. I know that as we do all we can to do our part that the Lord blesses us. He provides us with miracles and I¨m so grateful for that. We made completos today. Its a food from Chile. Also remember Elder Huanca??? my comp from when I called home on Christmas? He got called as Assistent to the President yesterday!!!! so now he will be in the offices with us!!!! Hes a great guy. I¨m really excited to see what he can do there. This week was definitely an interesting one. We had to move offices. So you can imagine literally packing up everything from the old offices and then taking them to the new ones. But hey it all worked and we are good!! The new offices are on the second floor of a chapel here in my area. Its definitely different but it all works out the same!! I´m sorry there were not any baptisms this last week. This week we were supposed to have 2 but they ended up falling through... So i´m sorry about that but I promise that we will find them this week again. I hope that all is well and that you are enjoying the last of the summer!! Well this week was a good one for us!! It looks to be a good month of August here!! So here in the offices i´m the financial secretary but on top of that the District Leader so with that I interview the baptismal candidates, last week I had the opportunity to interview a man before his baptism. He had a lot of doubts and so it was an interesting experience but a really spirit guided interview. For some reasons he wasn´t able to get baptized. In this interview I did all that I could to help this man to accept a baptism date. The elders had worked hard for it and I did all I could to help him but just wasn´t ready to commit to a date. So I tried doing my part to help in the interview. I came out of the interview a little frustrated with myself because I wasn´t able to help him. I thought a lot about it and then the next week I was able to visit this man again in his house with the elders, and being with him we started talking and covered a lot of things. At one point he sat there for a second in silence looked up and said "I feel that I should do this." he stood up came over to me gave me a hug and said "thank you. This interview we had helped me more than you can imagine. I will be baptized. I will. thank you for helping me so much. I can´t thank you enough." I know that was a sign from the Lord saying "you did well. You did all you could. Thank you"
I´m so grateful for all this work. There are miracles happening! I¨m so grateful for it all. I promise to keep doing my part and we are going to see great things happen!! Is great news to tell you that Elder Harrop, Caleb Robb will be coming back home on Oct. 03, after having provided excellent service in the mission, we share their joy at this time he sent his itinerary, if you have any questions can write me at this address. This week was the baptism of Milagros!! Her husband is a less active member that we have rescued and as consequence of that his wife got baptized!!! It was kind of sad because we had everything set up so that her husband could baptize her, because we just already assumed he had the priesthood, but we felt that we should just check the records just to be sure a couple days before the baptism, he didnt have the priesthood.... and it was too late...... but its alright the important part is that she's baptized right?? This family has been a great blessing to us. They are really a good family. Very prepared in every sense. They were very open and did everything. We never once had to push them or do anything to motivate them they always did it!! It just goes to show you that there are so many people that are prepared here!! I love you all and hope you all know that!! Here continues the White Finish!! This week was really good for us a lot of cool experiences. First off we found Luis. He is an older man, hard of heart. Claimed to be catholic and that he would die catholic. We started to teach him and when we got to the part about Jesus Christ´s ministry we asked a couple questions and he came to admit that he didn´t believe in Jesus Christ. After going in a little bit deeper we found out why. Years back his father had cancer and passed away. Then shortly after his mother was really sick. Was in bed for a long time and suffered for a long time. He said that he prayed and prayed so that God would take her, just so that she wouldn´t suffer. But it never happened. He prayed for help but it never came. He finished by looking at me in the eyes and saying "Don´t tell me there is a Jesus Christ. And if there was He isn´t merciful." It was really sad to hear that, but this is when it became a cool experience for me. We expressed our sorrow for him and what happened but then explained to him. You can keep believing that and keep being bitter with God. And you will keep living without any hope in your life. 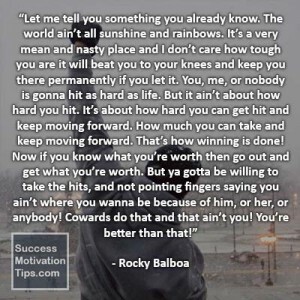 You will keep being miserable, and nothing will get better. But Hermano what we bring to you here today is a hope. A hope that you don´t have right now. Because there is a Jesus Christ that in all the things that happen that are unfair can fix ALL of those things. And he will fix it all. This is what makes us happy. We too have passed through difficulties but the difference between you and me is that I have a hope for something better and to see them again and right now you don´t. But I want to give you this hope. I want to help you have it so that you too can experience a happiness that you have never felt before. This grumpy old man just sat there. Going from just trying to debate with us about a Jesus Christ just sat. And at the end we invited him to pray. We kneeled down and I witnessed this old bitter angry man cry like a baby as he prayed for the first time since his mom had passed away. Saying in this prayer sorry for leaving God. And for denying Christ. The spirit was so strong there and it was exactly what he needed. The spirit knows everyone and how we should talk with them. We were definitely bold with him but what makes the Boldness okay is that it was with the spirit and always showing love. This week we should have another baptism and so here we go with the White Finish!!! A lot of good things going our way!! Well here goes the first week of a white finish!!! This week was the baptism of Mary Lu. She is a single mother who actually has a funny story. One day we received a text from her but we didn´t know who she was. So we called her and presented ourselves and then asked if we could visit her. She said yes so we went over and visited her and here you go she is now baptized!! To this day we do not know how that message got to our phone. She does not remember sending that message. It was definitely divine intervention because that was a complete miracle. The news for this week is that it was transfers!! Last night we were at the airport till 1 in the morning dropping off the missionaries going home making sure they got onto their flights. It was weird because I have served and was very good friends with a lot of them. A little sad but then President bought us subway at 1 in the morning there in the Airport. Definitely worth it. My new companion is Elder Silva. I have no idea who he is but I have heard good things about him!!! So it should be good!! I hope your all waiting for a lot of white for these upcoming months! !